After our ‘deep science dive’, we were now delighted to invite lawmakers to get a taste of our clean energy future in Copenhagen on September 25th and 26th (Thu-Fri), hosted by our Member, MEP Jeppe Kofod (S&D). 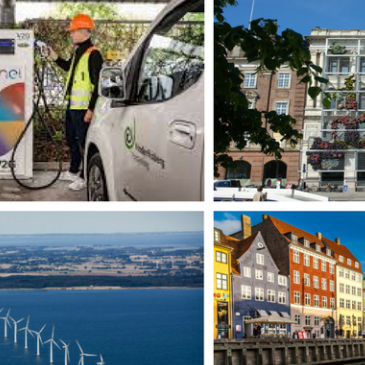 We visited Copenhagen together with a group of MEPs and MPs interested in clean energy and e-mobility. The delegation firstly visited the ENEL V2G (vehicle to grid) hub, which is the first fully commercial V2G hub in the world launched in Copenhagen in August 2016. The car of the future is a battery with wheels. Vehicle to grid technology turns e-cars into large mobile batteries that interact smartly with the power grid, enabling, among other things, the stabilization of power flows to promote renewable generation. Participants were able to see themselves how it works, take a test drive and see what the future of transport looks like. On the second day, the State of Green, which is a very interesting and unique concept of public and private collaboration, was pleased to welcome the delegation from 08.30h on the 26th of January, followed by a visit at the EU Agency for Environment. In the context in which France announced to ‘ban all petrol and diesel vehicles by 2040’, this experience could prove eye opening. Many thanks to everyone who was part of the project!